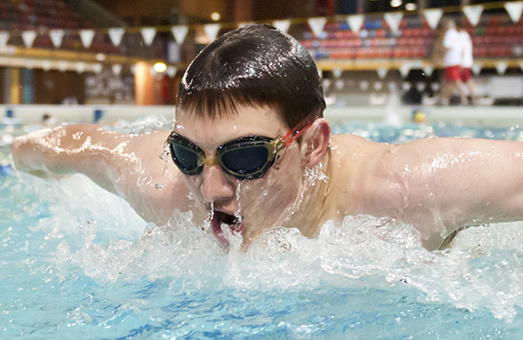 We have 16 swimming clubs affiliated with us. During the season we hold our District Championships and Peninsula Challenge meets at Warringah Aquatic Centre. We also hold a Handicap Meet at one of the Rock Pools. Warringah Amateur Swimming Association shared a post. Warringah Aquatic Centre will be closed for essential maintenance starting on Friday 19 April and will reopen Monday 29 April. Warringah Amateur Swimming Association shared a photo. Dee Why’s public baths were originally formed by nature, before finding its current form, writes John Morcombe of The Manly Daily. Rock pools are not unique to Sydney but for many they are an important part of seaside living. One of the most popular is the pool at Dee Why, due to its size, aspect, facilities and proximity to shops. But the Dee Why rock pool is also significant due to the input from the local community to its formation and subsequent development. While most rock pools were built by councils following lobbying by local residents, the Dee Why pool in was largely the product of local organisations. The first pool was created by nature in the form of a broad shallow basin in the rock shelf south of what is now the main pool. The basin is known as the Bogey Hole, although heritage consultants in the 1990s referred to it as the first beginners’ pool. The first man-made pool at Dee Why was excavated by members of Dee Why surf club. The pool was about 5m square. According to the club’s history: “In 1919, the fledgling surf club approached Warringah Council with a proposition to make the pool larger, at an initial cost of £147. On completion, it was closer to £192, a princely sum at the time. What isn’t clear is who undertook the work, for which the council sought tenders in April 1919 and again in September. Nor is it clear who paid for the work, although the surf club certainly contributed some money and it was the surf club that invited councillors to the opening of the extended pool in December 1919. From that date on, information about further development of the pool complex is sparse. What is clear is the input of the Dee Why Improvement League, which contributed significant funds for the improvement of facilities at Dee Why. Each year, usually from Boxing Day to New Year’s Day, the league hosted carnivals on the reserve behind the beach that raised about £2000 between the 1923-24 carnival and the 1930-31 carnival – all of which was allocated to the rock pool, the seawall, the dressing sheds and kiosks at Dee Why Beach, Dee Why Park and Stony Range Reserve. Some of the money appears to have been used to construct a low concrete wall across the rock platform north of the main pool to “catch” waves breaking over the rock platform and funnel the fresh water into the main pool. pool for children immediately west of the existing pool, which was formally opened on October 6, 1930. Heritage consultants in the 1990s called the new pool the second beginners’ pool to differentiate it from the Bogey Hole. During the 1930s, Warringah Council got money from the State Government to undertake works to provide unemployment relief and some of it was used to upgrade the main pool by lengthening it to 50m and widening it to 21m. Another work undertaken in the mid-1930s was the deepening of the Bogey Hole by constructing low stone walls around it to retain more water. The most unusual element of the rock pool complex is what the council calls the stilling pool. The stilling pool is at the eastern end of the main pool and absorbs some of the impact of waves rolling across the rock platform towards the main pool in heavy seas. There is a rectangular chute under the walkway connecting the stilling pool with the main pool, while stainless steel grates at both ends of the chute prevent anyone being dragged through the chute. But no one knows when the stilling pool was built. In 1973, the council built a new pool for children, which the heritage consultants in the 1990s called the third beginners’ pool. The new pool is immediately west of the main pool and effectively buried the eastern part of the second beginners’ pool, which by then was no longer usable.